Heated version (MT) available for corrosive applications. ATH-M is compact turbomolecular pumps in world reference in semiconductor and coating industry. World wide large installation base in light process to harsh process for DN200 and DN250 flange size. ATH-M mid size turbomolecular pump in world reference in semiconductor and coating industry. World wide large installation base in light process to harsh process for DN200 and DN250 flange size. ATH-M large size turbomolecular pump has been introduced for silicon based industry applications, based on long experience for DN250 flange size. ATH-M large size turbomolecular pump has been introduced for silicon based industry applications, based on long experience for DN320 flange size. Most compact maglev pump with integrated electronic controller offering DN100 and DN160 inlet flange. Please find below information about the accessories and electronic drive units of the ATH M and ATP M turbo pump series. Electro-magnetic bearings are also called "active magnetically levitated", because the rotor position is continuously monitored and adjusted accordingly. This enables wear-free, low vibration operation with an automatic out-of-balance compensation. Continuous rotor stability is assured. These bearings are maintenance-free and require no lubrication. Highest pumping speed, compression and gas throughput or minimal vibration are classic vacuum parameters which our customers expect. All 5-axis magnetically levitated pumps in the series deliver excellent performance data in their specialized fields. This makes them the perfect answer for all noncorrosive applications in analytics, research & development as well as in reactive processes in the coating and semiconductor sector. Our maintenance-free, magnetically levitated turbopumps only use high-quality safety bearings which ensure safety during operation. Even the harshest environments are no problem for our HiPace thanks to its IP 54 protection class. Product tests according to ISO 27892 also show that all pumps meet the most stringent safety requirements. 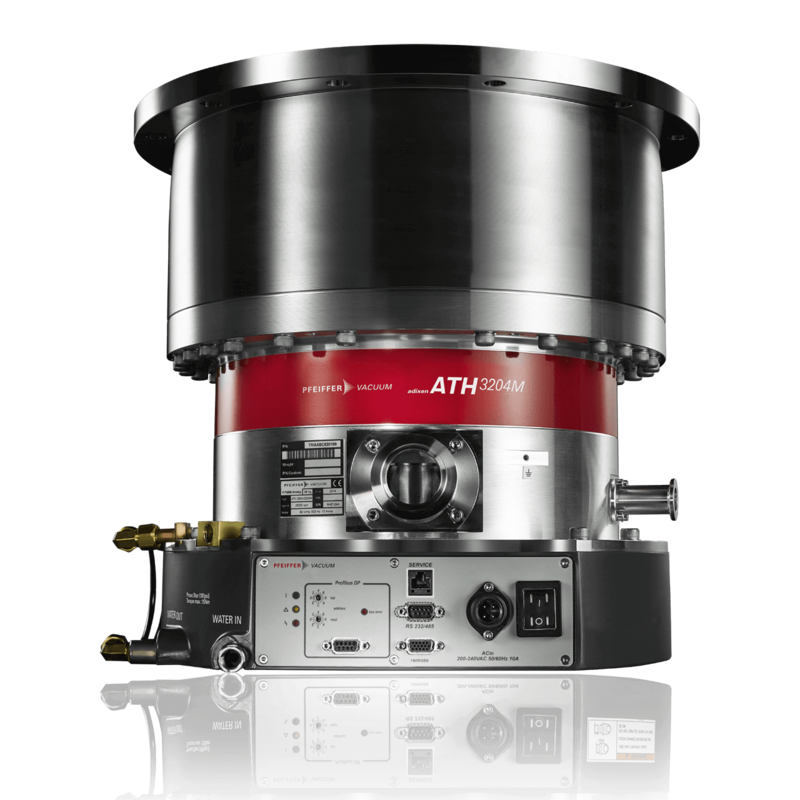 Our turbopumps in the ATH M and ATP M series are not just magnetically levitated – an active 5-axis magnetic bearing monitors the position of the rotor and regulates any deviation from the correct position in real-time. Through the use of this high-quality bearing technology, we achieve the best possible long-term stability and reliability coupled with quiet running properties. 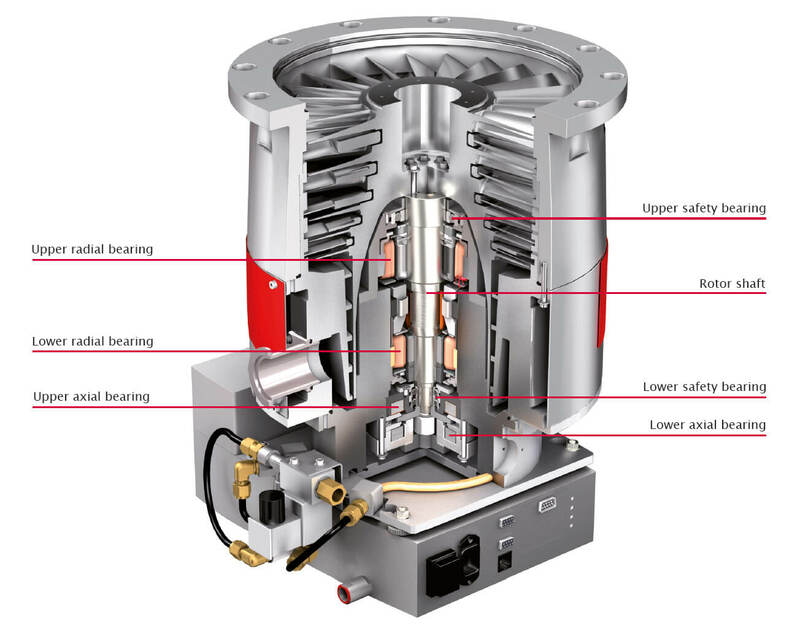 The bearing technology and process orientation of the high vacuum pumps make our ATH M and ATP M series a benchmark for high-performance turbopumps in semiconductor production, coating and dry-etching plasma processes as well as in many industrial and R&D applications.